Dani Sordo is not having the best season and even though he was able to display some of his speed and skill, the results and points are not exactly doing him a favour. Too often we hear him complaining about the lack of confidence and without confidence you may feel like you’re doing the best you can, but the results will not back you up. Lackluster performance did little to encourage Citroën Racing bosses to feel any more sympathy towards the Spaniard, and when the teams main backer Khalid Al-Qassimi spoke after Rally Finland, it became apparent there were some big changes on the menu this year. 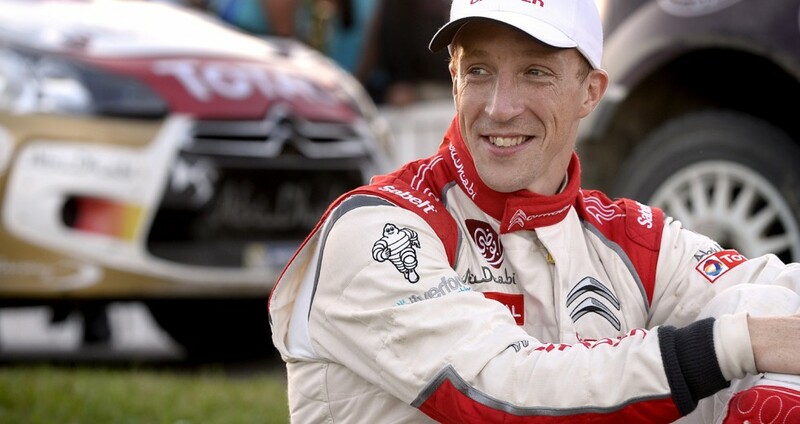 Kris Meeke did well in Finland, unlike Sordo. Until he made a mistake and crashed out. But his pace looked promising and it was enough for Al-Qassimi and Abu Dhabi Racing to give the Irish driver another chance. For a moment it appeared as the Finnish scenario would be repeated, with Meeke driving Al-Qassimi’s car, but Citroën went one step further. In the end, Dani Sordo is sent to the bench for Rally Australia, while Kris Meeke and Mikko Hirvonen will lead the French squad in an event down under. In the meantime, Dani Sordo will, according to Citroën’s report, look to find some of the confidence and form away from pressure of competing. Now, I’m not entirely sure how do you find confidence and speed if you’re not actually competing and trying to improve the setups and your driving style. Sordo allegedly struggles on gravel and whether it will do him any good to skip an event, remains to be seen. From what we saw this year, it was in Citroën’s best interest to try something radically different, as there is less and less to lose. Official release with all the statements (sans Dani Sordo’s, strangely) follows below. The fastest rally on the calendar proved tricky for Dani Sordo, who was not able to find the right rhythm to make it into the leading places. Sorely lacking in confidence on gravel, the Spanish driver has agreed with Citroën Racing that he will sit out the next round in order to try and take a step back and find some form on the surface away from pressure. Kris Meeke put in a much-praised performance in Finland in his first outing in the DS3 WRC, despite crashing off at the end of the rally. The Irish driver, who has come through our promotional formulas and is responsible for the development of our client-competition cars, was the natural choice to race for Citroën Total Abu Dhabi World Rally Team alongside Mikko Hirvonen in the tenth round of the World Championship. Next story Is Kubica ready to switch from custom shifter to proper sequential stick? Previous story New Loebs and Ogiers are out there, WRC must find them!